This blog is a continuation from the blog I wrote last year (2018) about the top 15 tourist hotspots you can look forward to in Southern Luzon. Not a lot has changed however, I have made a few minor updates and have now included some updated videos at the bottom of the article for you to enjoy. So now let’s take a look at the top 15 tourist hotspots you can look forward to in Southern Luzon in 2019. Why 15 places for Southern Luzon when there is only 10 for Northern Luzon? 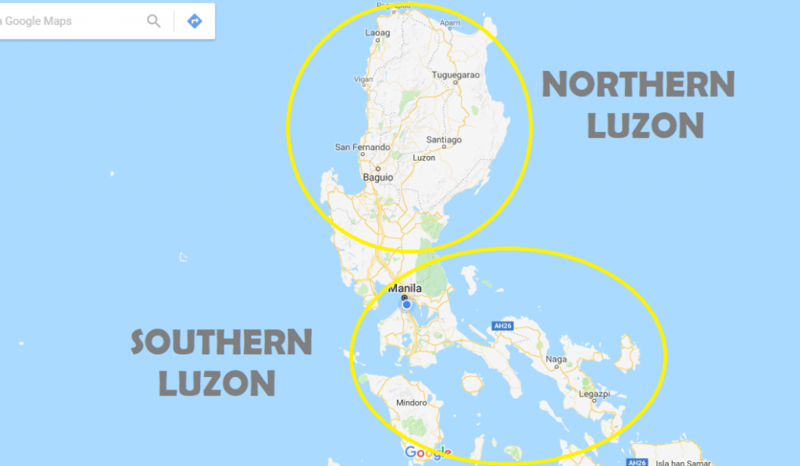 If you look at the map of Luzon below, you will see that the Northern part, with the Cordillera Central mountain range and Sierra Madre mountain range running down the middle, is very mountainous. This makes most of the northern part of Luzon difficult to reach, particularly by road. However, Southern Luzon tails out, is narrower, and less mountainous making it mostly more accessible. This map clearly shows the difference in the land structure between northern and southern Luzon. Northern Luzon you need to reach by plane or road whereas the southern part, there are more boat adventures and islands. The above doesn’t mean that Southern Luzon is more beautiful than Northern Luzon or vice versa. Each area, just like the rest of the country, has something special about it and has its own unique beauty. As mentioned in my blog about Northern Luzon, the Department Of Tourism (DOT) and PHILTOA are both pushing for more development in Northern Luzon as there is obviously immense natural beauty there. It just needs to be more accessible, and as the infrastructure improves, so will tourism. This will lead to more accessible places popping up. That is another topic in itself. Anyway, so here we go with the top 15 tourist hotspots to visit in Southern Luzon in 2019, in no particular order. Located in the Southwestern corner of Batangas Province, Anilao and is only about a 2.5-hour drive from Manila. 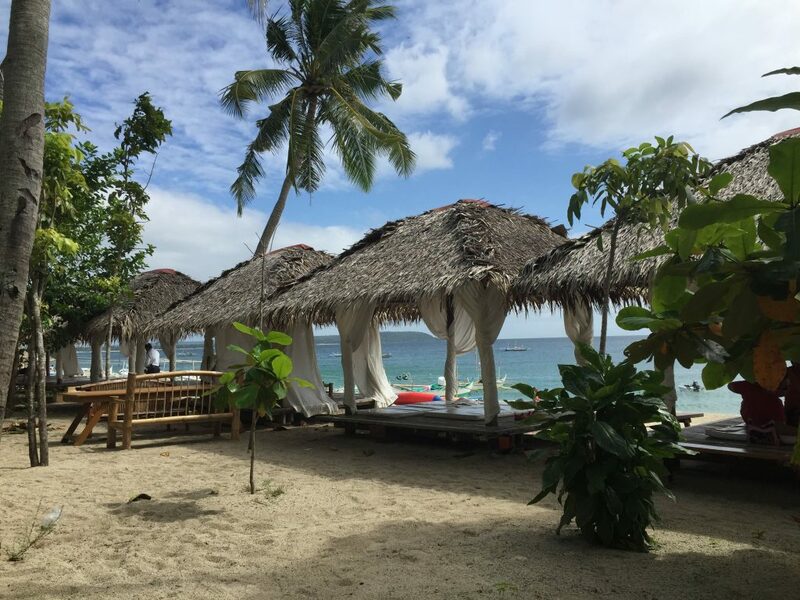 Anilao is regarded as one of the best dive spots in Luzon and as a result, there are a dozen or so beach resorts there. The diverse marine life, coral, and reefs are rapidly growing in popularity. Being within driving distance from Manila, this makes Anilao even more popular due to its accessibility and one of the best Philippines destinations. 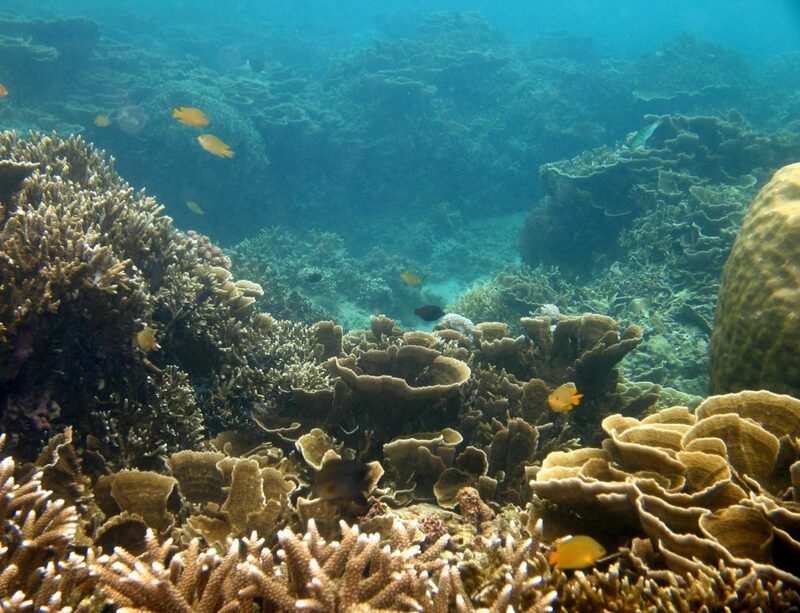 Anilao is rich with marine life and coral making it a very popular destination for scuba diving. Laiya is also located in the province of Batangas. There is about a 20 kilometre stretch of white sand beach starting at San Juan and ending in Laiya. There are plenty of resorts along here to choose from and the drive there from Manila is just under 2.5 hours. The only real drawback is that being on the east coast, you don’t get the full effect of the sunsets (I’m a big sunset fan). However, don’t let that deter you. It is a great place for a romantic getaway or for family and friends, with plenty of water activities to keep you occupied. Laiya is blessed with a 20 kilometre stretch of white sand and is also easily accessible from Manila. The Philippines most famous waterfall, Pagsanjan Falls, is located in Cavinti in the province of Laguna, about a 2.5-hour drive from Manila. While not an elegant or graceful cascading waterfall, it’s main attraction is its power. After a relaxing two-hour canoe ride up to this monster, you can take a bamboo raft right underneath it which gives you a good idea of how powerful this beast actually is. Pagsanjan Falls is widely considered one of the best places in the Philippines. 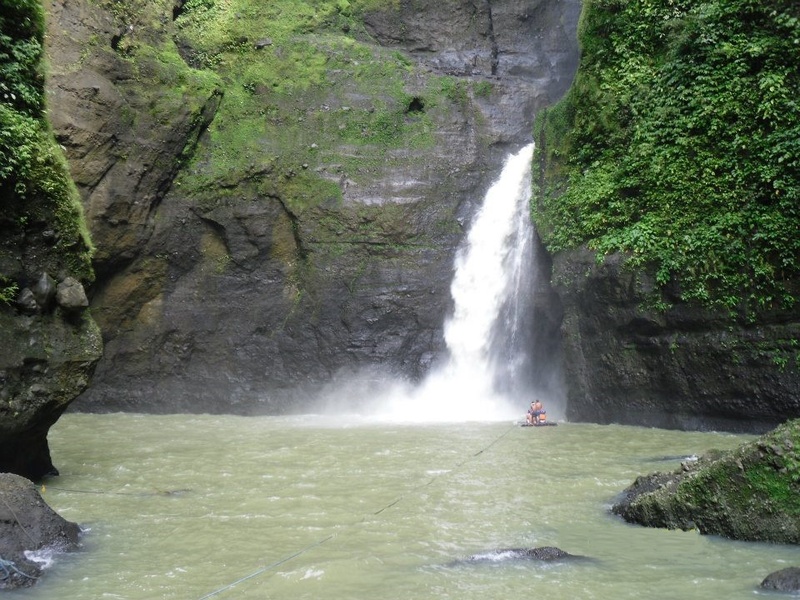 Pagsanjan Falls is the most famous waterfall in the Philippines and has ferocious power. Located in Batangas province, this is a favourite getaway from Manila for locals and foreigners alike. Being only about a 1.5-hour drive from Manila, Tagaytay is at altitude (600 metres ABSL) so offers cool, fresh air which is a welcome change from Manila. 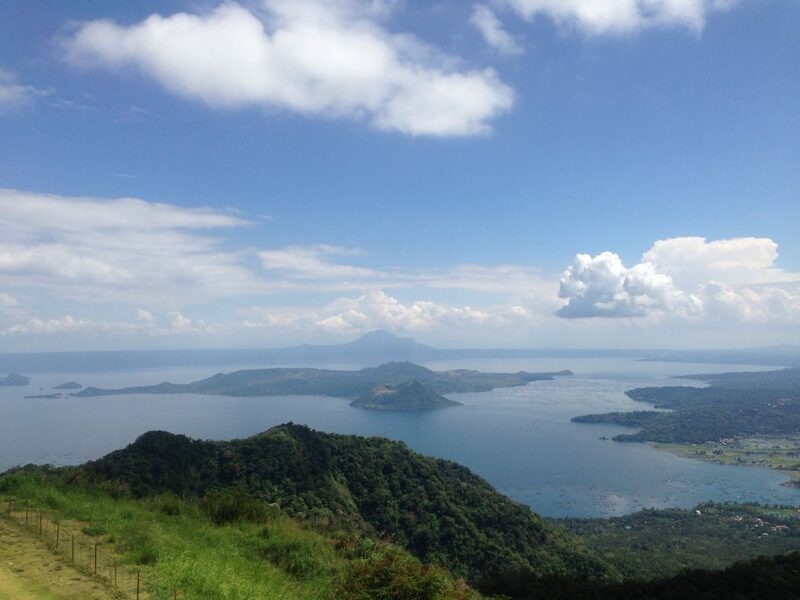 There are many things to see and do in Tagaytay with the most famous landmark being Taal Volcano. This is the Philippines second most active volcano and you can have lunch while overlooking this very unique natural wonder. Make sure you also check out Antonio’s restaurant which is one of the most renowned restaurants in the country. Read further for some ideas on places to stay in Tagaytay. The view from Taal Vista Hotel looking over Taal crater lake and volcano. Paete is located in the province of Laguna and is a fantastic day trip from Manila. This is just under a 3-hour drive from Metro Manila. First, you get to take in Tatlong Krus which is a religious pilgrimage site with awesome views over Laguna Bay. Then you trek about halfway down the mountain to the basin of the beautiful twin waterfalls of Matabangka Falls. From there you continue down the mountain and pass through some lovely canal lined barangays before ending up in the historic town of Paete. Paglibao is located in Quezon province. Here you will find a great island hopping adventure which you can do in a day. However, it is nearly a four-hour drive to get there from Manila so it really is best to stay overnight. 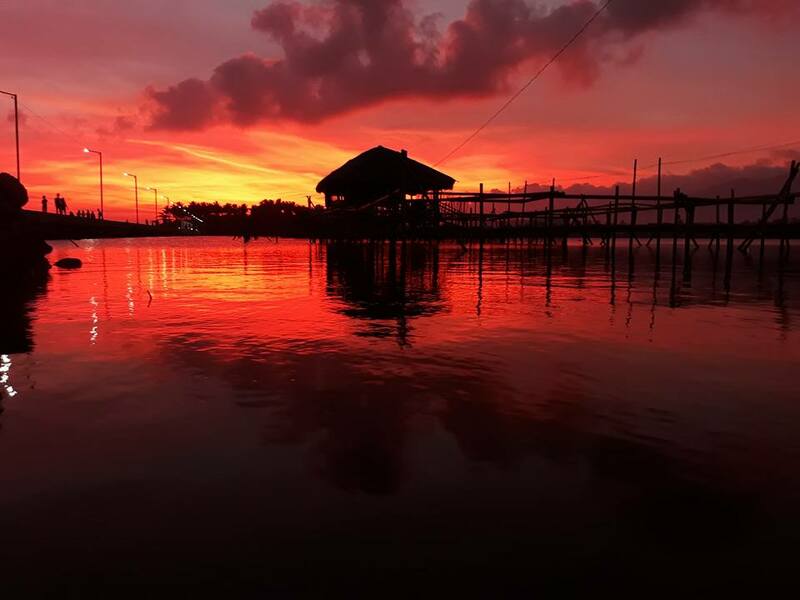 Here you can visit Paglibao Grande Island which is home to Borawan. This is a beach which has a hybrid name in reference to Boracay and Palawan and is every bit just as good as both of these more famous islands. Then at the other end of the island, and only a short boat ride away is a Puting Buhangin (which means white sand). From there you finish off at Dampalitan Island (which isn’t actually an island), which also has an awesome white sand beach that isn’t overrun with tourists. Borawan Island is just as good as every bit of the more famous Boracay and Palawan. If you like a bit of adventure without high risks, then Ambon Ambon Falls is the place for you. Located in Panguil in Laguna province, this is only about a 2.5-hour drive from Manila. 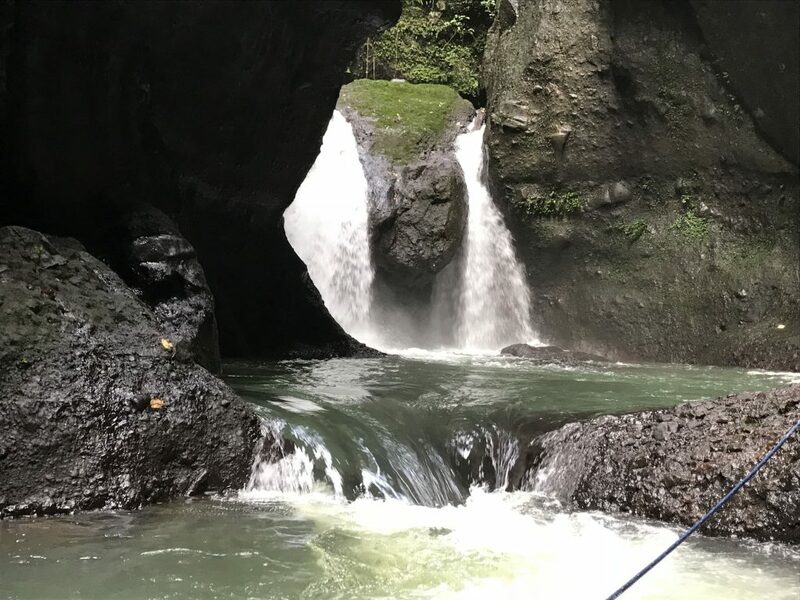 This is a great little day trip in which you take a casual hike up Panguil River to the magnificent waterfall, Ambon Ambon Falls. There are several rapids and water crossings along the way that aren’t too difficult. These really add to the adventure and make it a very enjoyable experience. You can learn more about Ambon Ambon Falls by watching my vlog. Ambon Ambo Falls is one of the best trips I have been on as it is relatively easy while giving you a real taste of adventure. Puerto Galera is located on Mindoro Island and is regarded as one of the best diving spots in Asia. You can reach Puerto Galera by driving to Batangas Port from Manila, then by taking a boat ride across to the island. You can do this in about 4 hours in total. There are multitudes of options in which you can stay depending on whether you wanna relax and chill out, or party and have fun. Click below for my vlog to learn more about Puerto Galera. Sorsogon is located at the southern tip of Luzon Island in the Bicol region. It is famous for whale shark watching which can be done just off Sorsogon City itself, or in nearby Donsol. There are also some nice beaches nearby. Unless you are into epic road trips, it’s best to fly here via Legaspi City from Manila. This flight only takes one hour and leaves you with just under a 130km (2.5-hour drive). You could also tie this in with a trip to Mayon Volcano. Sorsogon is one of the few places on this list I haven’t been to, but I have friends that have and they highly recommend it. I will get there eventually! Sorsogon is renowned for its eco-tourism due to its beautiful beaches, marine reserves, and caves. 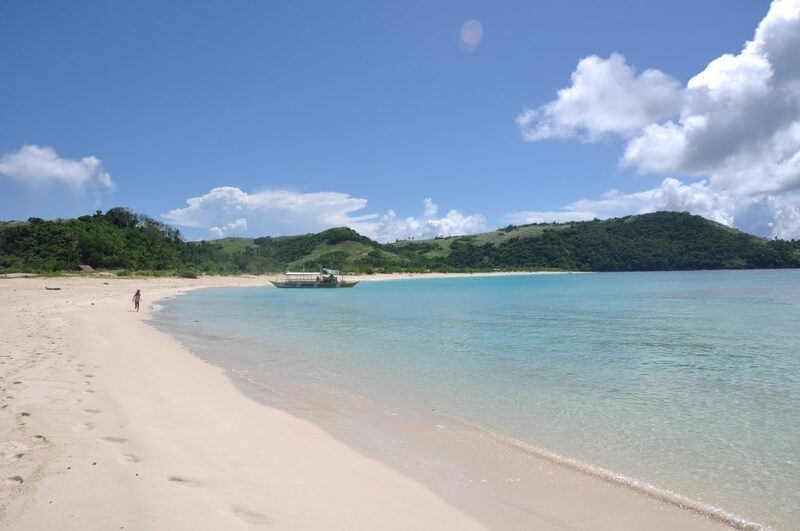 Calaguas is located in the province of Camarines Norte in Bicol province. This is a small island with a beautiful white sand beach that is still relatively undeveloped. You won’t find any major resorts here so need to rough it by either camping or staying in more Filipino style accommodation. Unfortunately, I haven’t been here yet, but it’s on my ever-expanding list of places to visit in this amazing country. 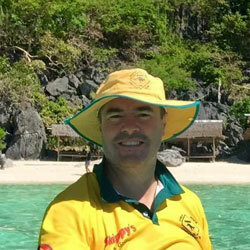 Calaguas is still relatively undeveloped and has amazing white sand beaches. 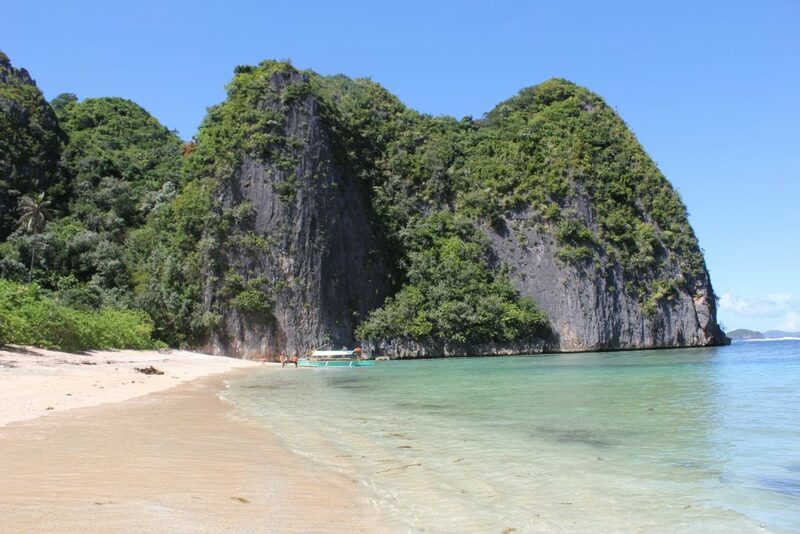 Caramoan is located in the province of Camarines Sur also in Bicol province. Of all the places on this list, Caramoan is probably the most difficult to get to. However, this is one of the most beautiful places in the Philippines which makes it well worth it. To this day, it still amazes me how little people know about this place. Aside from the Survivor Series television programs that have been filmed there, it is virtually unknown. 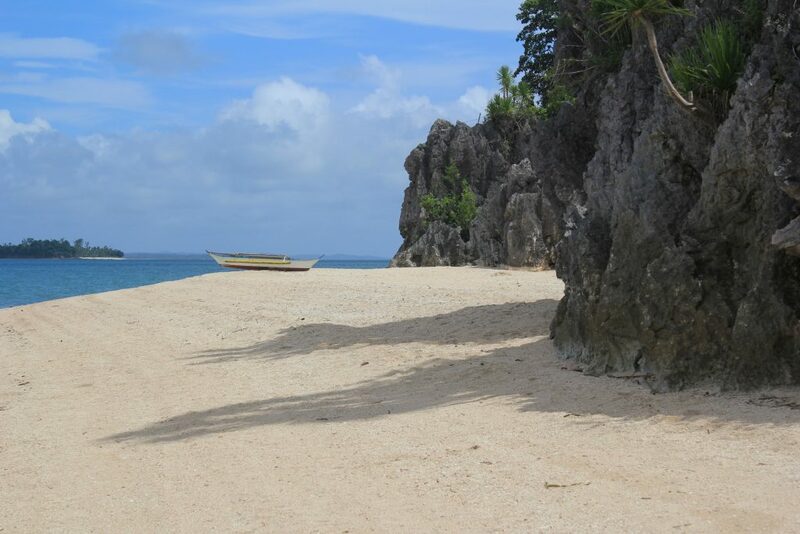 White sand deserted islands, lagoons, rock formations and amazing ocean, Caramoan has it all. Deserted white sand beaches are a common sight in Caramoan and it amazes me that people still don’t know about this place. Located in Calauan, in Laguna province, Hidden Valley Springs lays at the foothills of Mt. Makiling, a dormant volcano that borders Laguna and Batangas. The waters of this area are said to have mystical healing powers. Hidden Valley Springs Resort itself is a private resort that has been masterfully built around the natural waterways of the area. You can stay overnight or for the weekend, or even just do a day trip being only about a 2.5-hour drive from Manila. Please click below for my video. 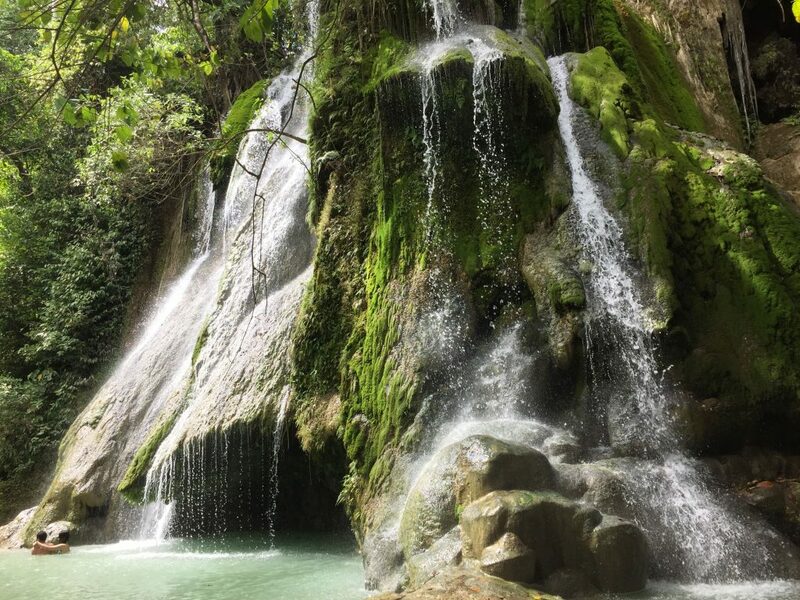 Located in Tanay in Rizal province, Daranak Falls is only about a two-hour drive from Manila. This is a very popular waterfall with locals and can get quite busy during the warmer months of March/April. However, a short 10 minute walk away is Batlag Falls which is a much more beautiful waterfall. This is basically three waterfalls in one and is one of the most unique waterfalls in the country that I have been to. Batlag Falls is one of the most amazing waterfalls I have seen and is easily accessible from Manila. 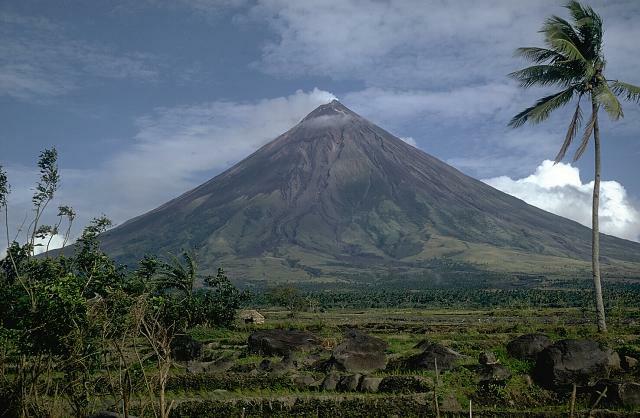 Mt Mayon is located in Bicol province and is the most active volcano in the Philippines. I have written about this volcano on a number of occasions. You can visit Mt Mayon as a road trip but it’s best to fly into Legaspi City. As mentioned earlier, you could tie this in with a trip to Sorsogon if you’re up for some whale watching. Please note that this volcano was erupting as recently as January 2018, so you should read travel updates about whether or not it is safe to go there before travelling. Mt. Mayon volcano is a perfect cone shape and is the most active volcano in the country. And finally, we have Nasugbu, which is located in Batangas province. For those that are part of the Deztreks tribe, you will know that I have spent a considerable amount of time in Nasugbu. As such, there are several amazing places I could recommend to visit in this part of Southern Luzon such as Calayo, Maya Maya, Talimaya and Terraza de Punta Fuego to name a few. These places are all only about a two-hour drive from Manila. Please click below for my vlog about Nasugbu. So there you have it, of the many epic places to visit in Southern Luzon in 2019, here are the top 15 that I can recommend. Please don’t forget to comment below, and please like and share with your friends and help grow Deztreks. Please also check out related articles below.